Welcome to the new HOW TO mini-post series! When working with consultants, I believe you get back what you put into it. For example, if you provide sloppy storyboards, you get sloppy modules. The same goes for voice talents. If you give them sloppy scripts, you get low quality audio files in return. So, in this first mini-post of the HOW TO series, we will be covering the basics for working with voice talents. Their familiarity with reading for e-Learning or Training modules. If they have their own studio, either on- or off-site. This means soundproofed, professional filter and mic, with editing software or equipment. 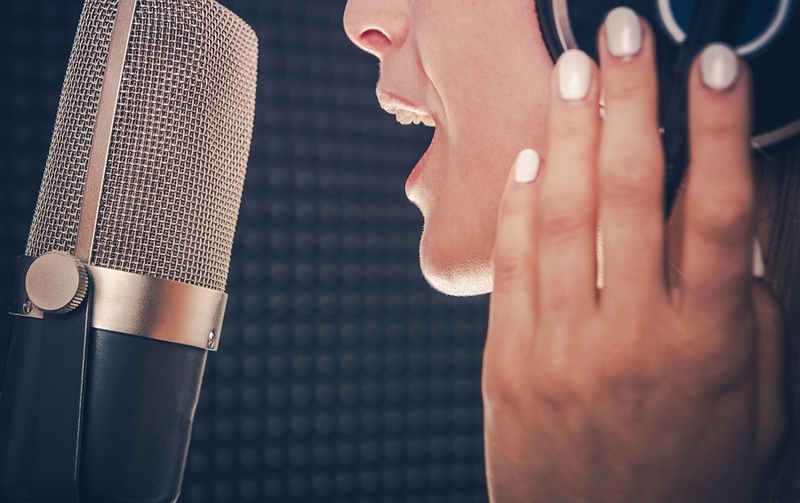 I have noticed that if voice talents do not have number one, their read sounds like a radio or television commercial and not the conversational tone most of my eLearning calls for. Additionally, if they do not have number two, the end result sounds like me…if I recorded on my laptop in the living room of my house. Ha! Once you have booked the voice talent, you want to make sure you are in agreement regarding the number of revisions covered in the contract. Now you are ready to move into the critical steps of the project. Read the scripts aloud when editing to hear how they will sound and whether the content would be clear to a learner. Eliminate clichés and wordy instructions for learners. Keep content tight and instructions brief and concise. Know your audience and eliminate large vocabulary words if they do not fit the audience’s reading and/or education level. Use font formatting (bold, italic, etc.) to highlight words you would like the voice talent to accentuate. i.e. All users entering the system MUST have a valid badge number and passcode. Step Two: Provide scripts that include instructions for the voice talent on the first page. The tone and pace for the read. Any pronunciation notes for the read. Where to upload the completed files. How to manage pauses between paragraphs and within lists (bulleted or numbered). Note: you may want to request a notification when 2-3 initial files are uploaded, so that you may review and ensure they are on the right track. Step Three: Assign a number for each slide in the module to align to the file numbers saved by the voice talent. NOTE: If you are using Articulate Storyline, you can easily print slides and notes by publishing to Word. A slide number is automatically assigned. Use this document as your script and edit accordingly. If you have a slide with multiple interactions, you can request the voice talent name each interaction as slide# + A, B, C, etc. You can also place a note on the page one instructions to explain this type of notation further. Just these three steps can greatly increase the quality of your audio files, as well as make the development of your modules go even smoother.